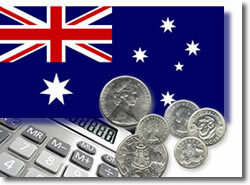 The CoinNews site has added an Australian Silver Coin Calculator, a collector tool that determines the value of silver content within Australian coins. In addition to the calculation features, 8-24 hour silver spot prices are listed in Australian dollars per ounce and per kilo. As always, if you have suggestions for improvements to this new feature or anything on CoinNews, we are happy to hear from you.